World’s first grains classifier was launched! Tbit’s GroundEye technology classifies grains 10 times faster than the manual process, including greater reliability and instant technical analysis. Through artificial intelligence and computer vision resources, the system replaces the human eye. Since mid-2016, Genesis Group has been building a detailed image bank following the quality parameters established by the Ministry of Agriculture. More than 22,000 samples from different producing regions and along several points in the grain logistics chain were compiled by Genesis Group and Tbit. The images are archived in the cloud, allowing access even from a distance. In the partnership, Tbit will be responsible for que evolution, updating and manufacturing of the equipments while Genesis Goup will be responsible to provide the service to the market. 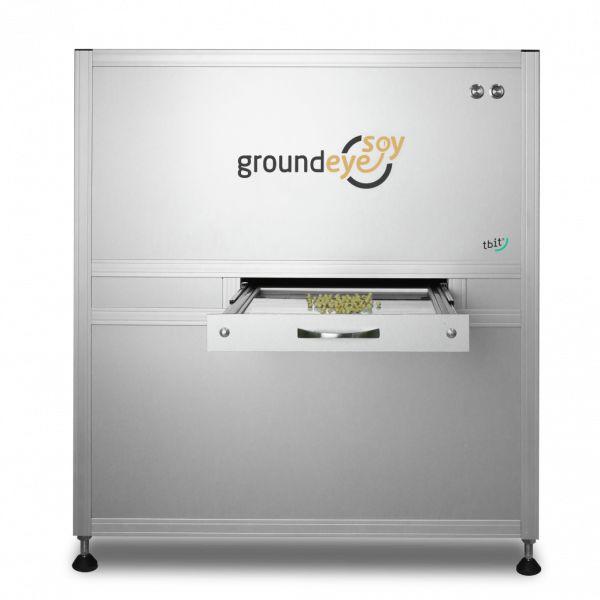 Initially parameterized for soybeans, the GroundEye Grains has been developed exclusively by Tbit and the Genesis Group. The next step is to prepare the system for the classification of corn, fertilizers, fruits and vegetables. For more information, visit the product page at this link. Welcome to GroundEye Blog! Here you find information about the sectors we work on, also you can accompany our improvements, new functionalities, different applications and new products. We hope these information will help you achieve better results!